Located at the foothills of the Big Horn Mountains, Big Horn Co-op Marketing Assn. was formed in 1923. Mike Hanser reached out to Stueve early in their planning process. Reynold Franklin, CEO of Stueve, and Steve Anderson, Vice President of Sales & Marketing for Stueve, listened to their needs and the team developed a solution that will meet not only their needs today but also tomorrow. We designed a 16-macro and a 4-micro bin fertilizer storage facility with a total capacity of 12,140 tons,” Anderson says. “Our design focused heavily on bringing speed and accuracy to their operation. “We worked closely with the trade Partners of Sackett/Waconia, Kahler Automation, W Design and Heartland Electric, and we put together a very effective game plan to turn their project from paper to reality,” says James Draper, Western Region Account Manager at Stueve. The alleyway is 36’ in width with an in-floor pit that feeds their 200 T Sackett/Waconia HIM Tower. A stairway system to access the catwalk area from the elevated control room provides safe access. A 14’ x 16’ heated chemical storage area allows will the company to offer many impregnation and enhancer product options. 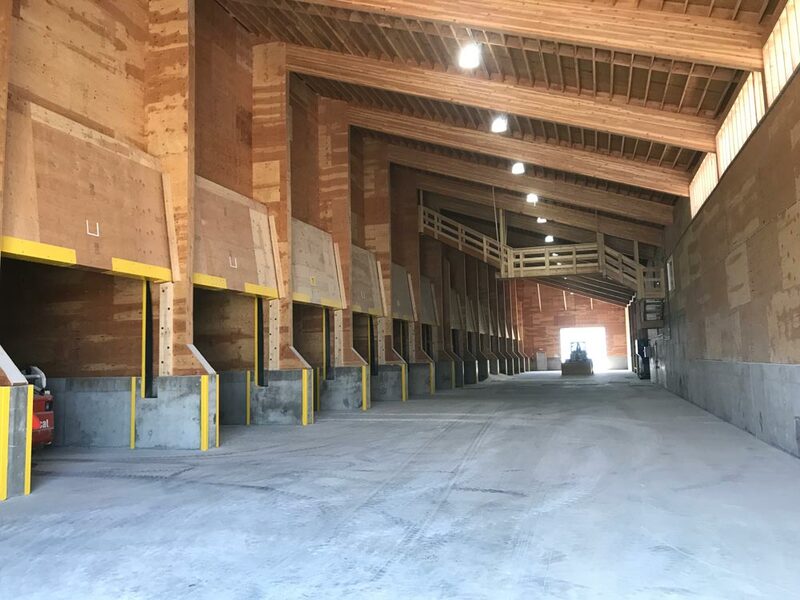 The building is also equipped with a 200 TPH rail and truck receiving system with a stainless-steel bulk-toter chain conveyor. This conveyor feeds a stainless steel centrifugal belt-type bucket elevator and stainless steel belt conveyor throughout the peak of the building. © 2019 Stueve Construction, LLC.